So Lonely in Gorgeous: Cheers to Another Year of New Beginnings and Opportunities! Cheers to Another Year of New Beginnings and Opportunities! 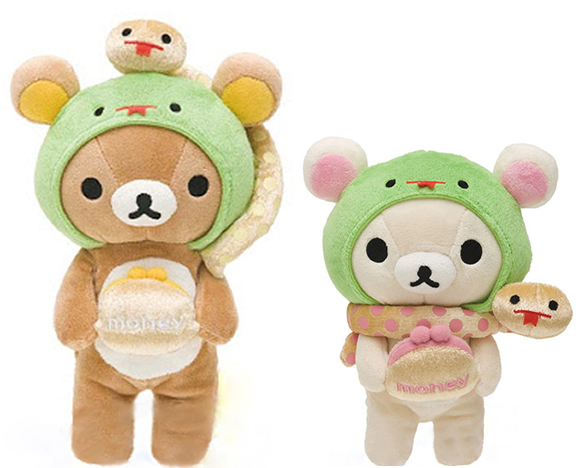 For those of you who are wondering why Rilakkuma and Korilakkuma are holding coin purses, on New Year's day in Japan, parents (along with grandparents and other relatives) give money to their children. This tradition is called Otoshidama. Happy New Year to all your gorgeous lovelies! I'll be posting my New Years look, along with what I've been up to these last few days. So, I look forward to hearing from you. Happy New Year, Liz! Hope you had a great night last night and all the best for 2013! Here's wishing you a wild, crazy, healthy & happy 2013. Looking forward to LOTS of 'beauty benders'! I bet that you're super organised. Hahaha, Yes ma'am, beauty collection coming up. I was more organized in the states since I had a LOT more space. Happy new year! Wishing you a year filled with happiness! It's been a long time, how have you been?? Happy new year ^_^ I love Rilakuma, so cute, and what an adorable costume. I hope to see more of your wonderful blog posts on exclusive Japanese brands! And also hope that you can help with hauling from Japan soon too! I have a few Japanese Holiday collections and random purchases coming up. As far, I plan to get all the items for the Spring collection, but that may change once I'm at the counter, and actually get to play with everything.